Plumber in Hertford, iGas Heating Ltd, are your local Hertford Plumbers with years of experience we are on hand to cater for all of your plumbing needs. We fix, replace, and help maintain heating, plumbing, and gas systems across Hertford, and throughout Hertfordshire. For any eventuality, you can depend on our reliable and friendly team of Hertford plumbers. 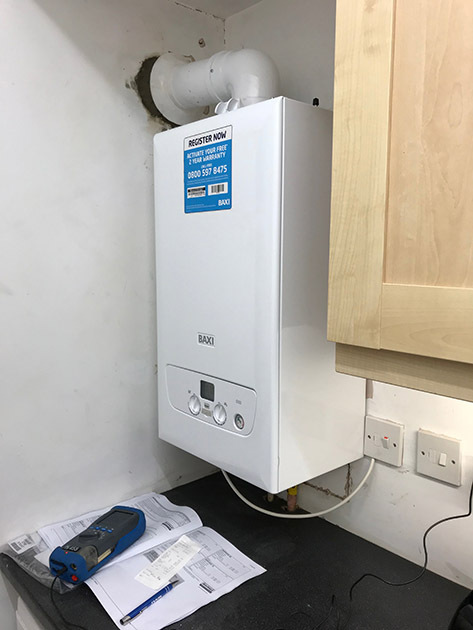 We provide boiler installations, breakdowns and servicing, and to make sure that we a﻿re there for you when you need us we also offer emergency plumbing. Looking for plumbers in Hertford that you can trust and depend on? We know that finding a reputable tradesman can be difficult, a task which is often made more so by the many local Hertford plumbers operating in the area. However, you'll be pleased to know that here at iGas Heating we take great pride in the quality of the plumbing work that we undertake and the service we offer, in fact, don't just take our word for it, take a look at our independent customer reviews from other local satisfied customers. Looking for friendly expert trustworthy plumbers in Hertford and the surrounding Hertfordshire area? Look no further then iGas; we take great pride in offering a wide range of plumbing services to domestic and commercial customers at an affordable price. Whatever plumbing problems you may have in your home or business, you can rest assured that we have the know-how and experience to respond with maximum efficiency and skill. Hire a plumber in Hertford or across Hertfordshire - don’t delay call iGas today. Accidents will happen, and usually when you least expect it. If you discover a water leak, blocked drain or broken toilet and urgently need an emergency plumber Hertford or anywhere in Hertfordshire, iGas should be your first port of call. Simply give us a call on 07380 803642 and request an emergency call-out. 5 ★★★★★ rating based on 34 reviews from our customers on value and quality for our Plumber in Hertford service.